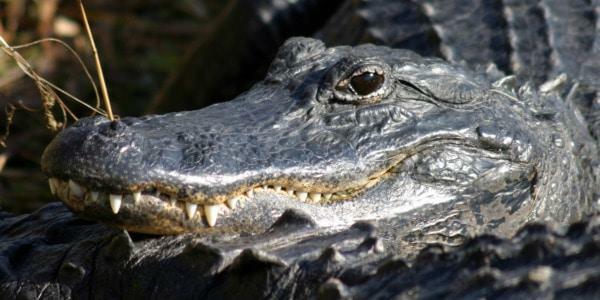 Visitors to the Everglades National Park are in for a truly unique experience. The Everglades National Park is the largest subtropical wilderness in the United States and plays host to a number of rare and endangered species. The area has also received a number of titles meant to recognize its significance including; World Heritage Site, International Biosphere Reserve, and Wetland of International Importance, making this a significant site to the entire world. Like most national parks, a little research before your trip can enhance the visit and will insure you explore the areas that most interest you. New park audio and video podcasts will help you in that pretrip planning. Whether you’re going to explore the park for a quick picnic or for an extended visit it’s important to remember that the Everglades National Park covers more than 2400 square miles and a number of different places where you can begin your adventure. Some of the most popular activities in the Everglades include camping, hiking, canoeing, bird watching or taking a guided tour. If you’re interested in spending some time really getting up close and personal with the land there are a number of ways to explore the everglades. Since a third of the area is covered by water you may want to take advantage of that and plan an experience that includes boats, canoes or kayaks. Each area of the Everglades has its own characteristics and interests. The park system recommends only experienced boaters try to handle the waters as there are treacherous passes and oyster reefs and sandbars, but even new canoers and kayakers can manage the waters. There are specific kayak and canoe trails that will give you the best experience possible and it’s suggested you stick to one of these trails as it is very possible to get lost in the Everglades. And obviously with so much water there is excellent fishing. There are separate licenses required for freshwater and saltwater fishing and certain areas have some restrictions. For collectors it is illegal to take animals and plants but each person can bring home a one quart bucket of non-occupied shells. Now not all of the Everglades is covered by water, there is ample space for camping in areas referred to as the frontcoutnry and the backcountry and campers are expected to be prepared for the different nuances of the region. In addition to camping there are a number of biking and hiking trails to wind you through the Everglades and show you a different aspect of this marvelous region. For first time visitors to the Everglades National Park a guided tour is a wonderful idea as the rangers not only know about the flora and fauna but each is an expert in their little area, knowing more about the habits of specific plants and animals. Try one of the boat tours through the mangrove coast at the Flamingo and Gulf Coast or one of the Tram Tours through Shark Valley Slough. If the idea of a personalized guided tour appeals to you then an alternative guided tour would probably interest you. Schedule the tour ahead of time with a guide who will fit your adventure to your schedule and interests. Some of the alternative tours include EcoTours, Kayak and Canoe Tours, and Fishing Guides. Throughout the year the park service offers unique events and experiences for all age groups covering a number of different aspects of the Everglades National Park. People who live in the area may want to check the website frequently so they can take advantage of the programs that appeal to them most. Not an expected place to find art, but the Coe Visitor Center in the Everglades National Park features a new art exhibit each month. Every artist brings a new look and feel to the visitor center and highlights different aspects and disciplines of artwork, but most of them typically are connected to the Everglades or the wildlife within. For visitors who are interested in the past and the historical significance of the Everglades it’s important to remember that this area was obviously not always a protected zone, in fact the Everglades National Park was only established in 1947. Prior to its designation as a national park the area was inhabited by many Native Americans (Caluse Indians) and eventually Anglo-Americans who were known as Gladesmen. But it was the later developers who made the most notable difference by attempting to drain the wetlands and build roads and canals. Three communities survived this initial attack on the ecosystem and Chokoloskee, Cape Sable and Flamingo still remain on the coasts o f the Everglades National Park. One surprising part of the Everglades past is its Nike Hercules Missile HM-69 Site. This vast space and its proximity to Latin America made it seem vulnerable and strategic during the Cold War, between 1950s and 1989. To protect the area the missile site was established in the Everglades National Park and still stands there today. Built during 1963 the site housed three above ground missile launchers and 22 additional buildings. The site was deactivated in 1979 and the buildings have been transformed into the Daniel Beard Research Center and additional storage. During the dry season, from January 1 to April 30, tours of the facility are open to the public. One thing to keep your eyes open for while exploring the Everglades National Park, Burmese Pythons. For more than 100 years the snakes have been rumored to exist in the park but today there is finally evidence of not only Burmese Pythons but many other exotic snakes. There is currently a plan underway to remove the snakes from the park and surrounding areas and there have been almost 1000 pythons removed already. It is assumed that pet owners who tired of their pets decided to release them without knowing or caring that their unwanted pets pose a significant threat to the indigenous species in the Everglades. They’ve even been known to feed on alligators at times. If you see a python during your excursions, make note of its location and report it to park officials before you leave.